Buying for your BFF | Things Engraved Inc.
My BFF is hard to buy for. She’s the kind of person who, when she wants something, she buys it for herself. Not that that’s a bad thing; good for her. It just makes it hard to buy gift for her. I often have to think outside the box to find her something good. Because my BFF is already a spa girl (who goes regularly for her mani’s and pedi’s) and she’s already got her home decked-out just the way she wants it. Because she has no problem buying herself nice clothes with all the matching accessories; my best bet is often buying her a sentimental gift. Does this apply to you? 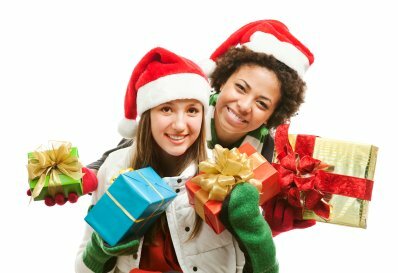 If so, here are some sentimental gift ideas to let your BFF know that she’s your BFF this holiday season. This pink (or black) leather bracelet includes a charm which you can engrave with her name (and yours if you want). Click to buy. Remind her why she's such a special friend. Big charm reads "Wherever you are, it is your friends that make your world." Add her name to second charm. Click to buy. Engrave your BBF's name onto this heart shaped friend tree ornament. Click to buy. Yup, more jewelry. This classic friendship bracelet is blinged out with crystals. Click to buy. Is your BFF a guy? No problem! We’ve got you covered. Stainless Steel Gun Metal Money Clip & Cuff Links. Engrave his name/initials. Click to buy. Flex Folding Knife with Carabineer to engrave as you like. Click to buy. This Men's Woven Black Leather ID Bracelet is ready for your BFF's name to be engraved. Click to buy. Ten useful tools are packed into this tiny, lightweight tool. Ready to be engraved for a personalized touch. Click to buy. What are some of YOUR gift giving ideas for that hard-to-buy-for person? Please share your tips with us on facebook.